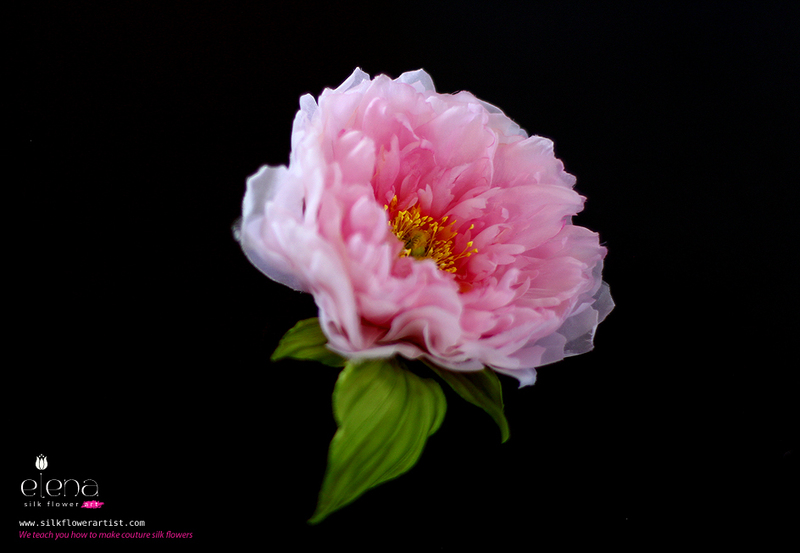 The exquisite, couture silk peony you see above has been lovingly hand-made. 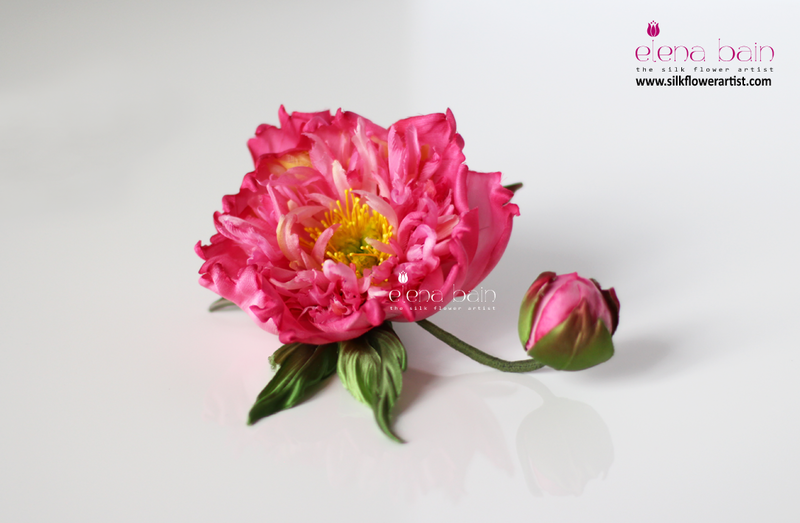 I am Elena, your personal silk flower artist instructor, and I will teach you how to make these gorgeous, unique flowers at your own pace with my comprehensive Silk Peony Video Tutorial. I learned this exclusive technique personally from Masters of silk flower art, and am now happy to teach it through complete, comprehensive video tutorials. Classes are also available in person, here in stunning Switzerland. But for those of you who cannot travel, you can get the same expert instruction and complete information through my video tutorials. I leave nothing out in my videos: they include crystal clear instructions in English and Russian; all come with detailed .pdf notes prepared for you, so you do not have to-chock-full of highly detailed descriptions of not only every step you need to know to emulate Japanese technique, but all the secrets and extra touches I use one to truly make a masterpiece-a more complete tutorial is simply not available from any other source! "I am sooo impressed with your tutorials and accompanying documentation, Elena! Although it doesn't say this explicitly, these truly are instructions for COUTURE flowers-every bit handmade and gorgeous. I have had other couture flower classes, but none for couture millinery flowers that was as inexpensive, complete, clear, and well-done as yours! and that the accompanying .pdf is also clear as a bell, and answers any questions not addressed in the video tutorial. I really just can't say enough about how wonderful your series is, and I can't wait to get the other flower tutorials and my order from your store!" Z.
I am so excited to share these projects with you! Why should I purchase a video tutorial instead of just trying to experiment for myself? -Silk flower art is a complex art, and even though there are books available, they leave out many of the details that effortlessly help you make the flowers of your dreams. Couture flowers that you can use for yourself, for gifts (corsages, boutonnières, fascinators*, etc.) or to sell! Also, my videos never expire-they are yours to keep to look back to whenever you need to brush up on your skills or clarify a technique in real-time. Included in each video and accompanying notes are specific recipes (for dying colors, etc. ), techniques, and patterns that guarantee success with all of my flowers. I have a MAC/PC…will your tutorials work on both platforms? At this moment we only sell protected video tutorials for PC users. Can I really start my own business with the information included in the “Peony” video/.pdf package? YES you can! 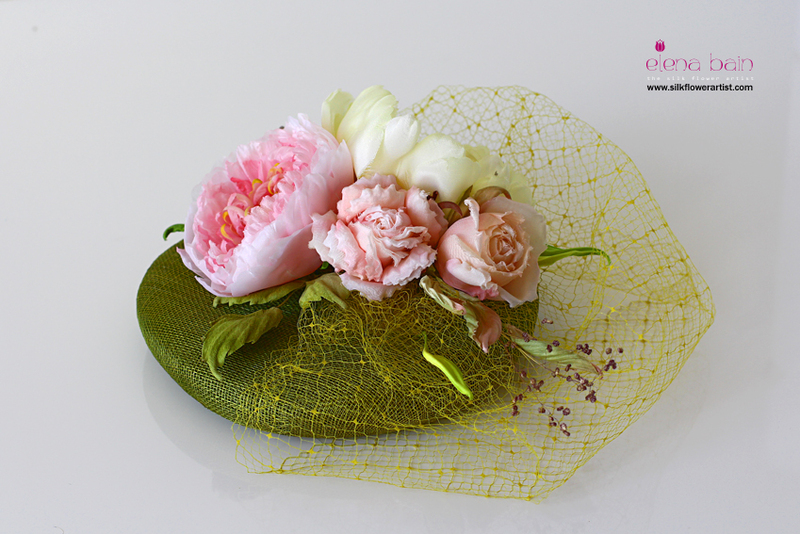 Milliners, dressmakers, couturiers, haberdashers, gift-wrapping businesses, wedding planners, floral designers, brides, grooms, and anyone who loves having a completely unique accessory will flip for your flowers! With this orchid package, you will learn how you can custom dye and customize products for your soon-to-be clients. 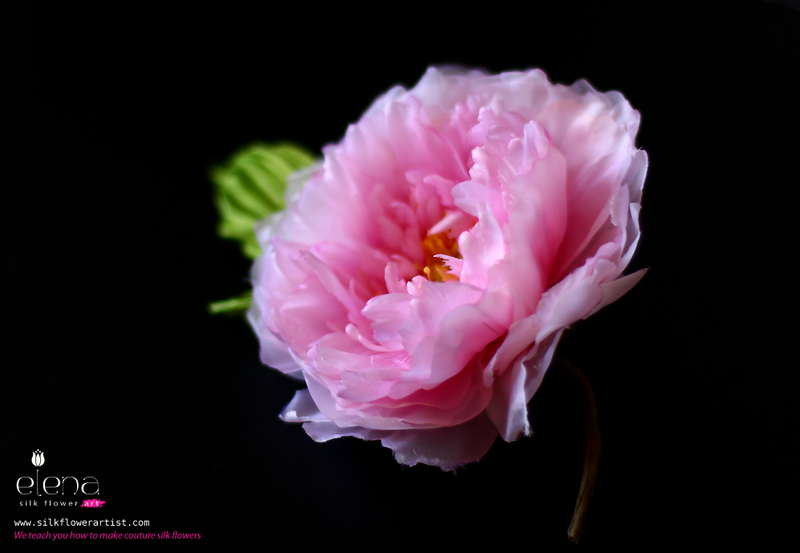 The sky really is the limit-once you have experienced “Peony,” you will want all the gorgeous flower tutorials available-and I add new products often, so you will always have fresh inspiration for yourself or business!! How much experience with arts and crafts must I have to make this-or any-of your gorgeous flowers? None at all! 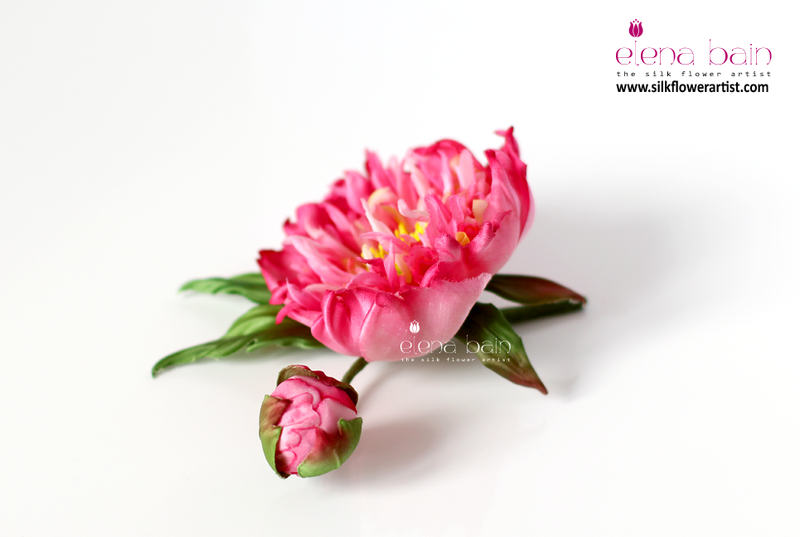 You can be a novice, and by the end of the silk flower tutorial (and using the correct tools), you will produce an exact copy of the one in the photo above. My video for my “Peony” is over 120 minutes long! I am not a novice flower maker-why would I choose to purchase your video tutorial? I have been making these beautiful flowers for years, and have put all of that experience, know-how, and experimentation into my classes for you to enjoy-I have done the experimental work for you so you can enjoy the process, knowing that you will have 100% success! I guarantee that there is valuable information for both novices and experienced flower-makers alike. No where else will one find the combination of step-by-step video and .pdf notes prepared for you that contain the recipes (for stiffening, dying, etc.) for multiple types of fabric and detailed tool use I have included here (this video is 120 minutes long!). I have received multiple feedback from experienced makers that expressed how thankful and surprised they were at the breadth of knowledge included in the all of the floral series. And I will be available to answer questions regarding the process of making any of my flowers-you won’t be left in the cold after you make your online purchase. Must I purchase special tools to make these flowers? If I purchase your video tutorials, how quickly can I receive my electronic product? After your payment is received by PayPal, they will redirect you to the page with your video tutorial immediately! If you do not see your answer above, or are curious about any aspect of my flower series, please contact me from the form below ! To Produce Lovely Gifts for Friends,Relatives, Brides, Bridesmaids & Graduates! To Experience the Creative Delight of a Job Well Done-receive unending compliments! Copyright © 2012- 2017 Lady Elena Bain ~ The Silk Flower Artist. ​ All rights reserved. This video tutorial is for personal use only. The reproduction, distribution, or copying of any part of this document in whole, or in part, or in any form, and without written permission, is strictly prohibited and will be prosecuted.